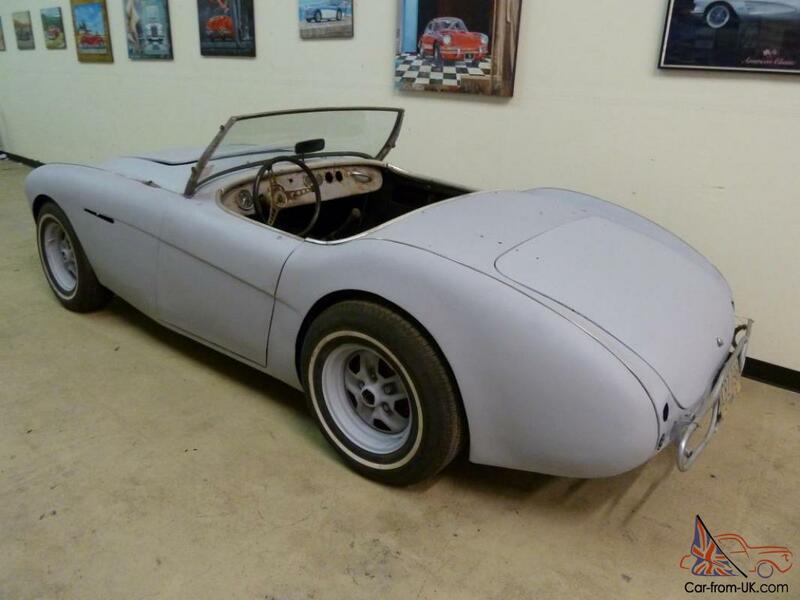 1954 Austin Healey 100-4 Roadster BN1 V8 Conversion Hot Rod Will Export!! 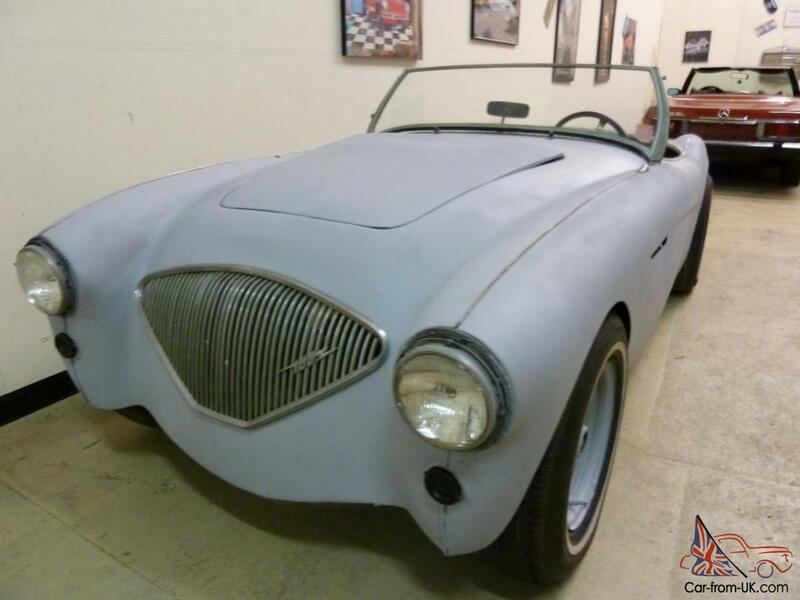 1954 Austin Healey 100-4 Roadster V8 Conversion!!!! 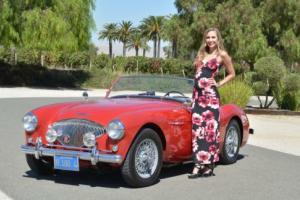 The new Austin-Healey went into production in 1953 and was immediately popular in the U. S. These cars were well-styled. inexpensive. 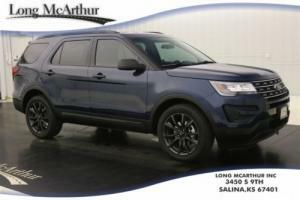 rugged and above all easy to drive. for both the sports car enthusiast who fancied some light competition or just for tooling down to the shops. The "100" name comes from Donald Healey. who selected the name from the car's ability to reach 100 mph (160 km/h). 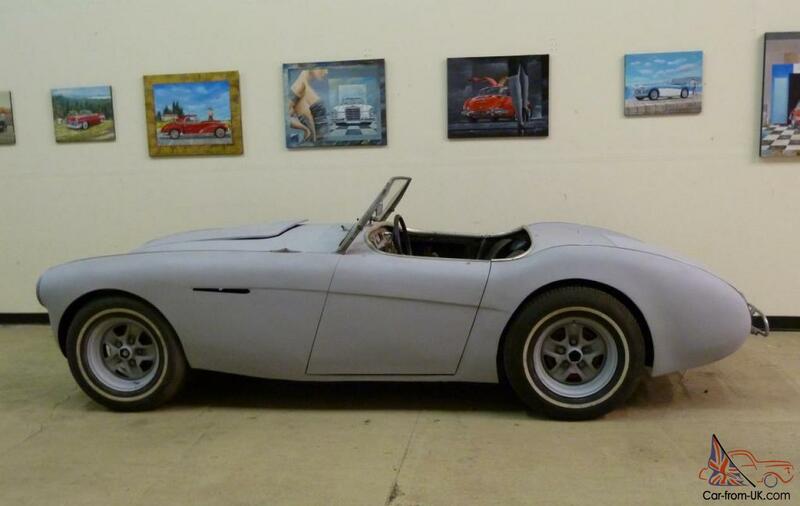 as opposed to the Austin-Healey 3000. which is named for its 3000 cc engine. 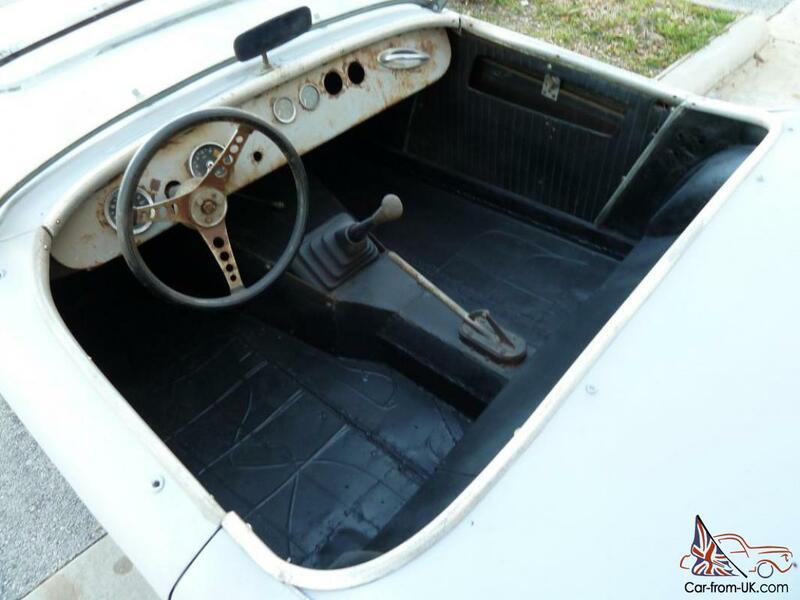 Austin described the car as an open two-seater with individual bucket seats with an enclosed rear luggage space. Full weather protection was provided by a folding fabric top and detachable perspex side-screens. A unique feature of the 100 was it's folding front window which made for a very sleek profile! 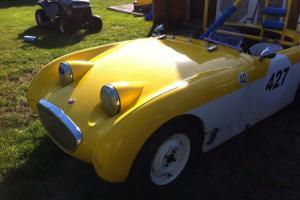 The 100-4 is all part of the hairy chested big brute Healey saga. 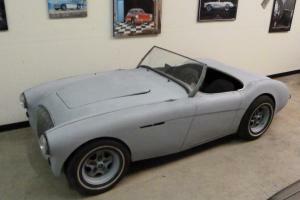 and it is exactly what a classic British roadster is supposed to be: A simple sports car with great performance. beautiful styling. and a fantastic history to back it all up. 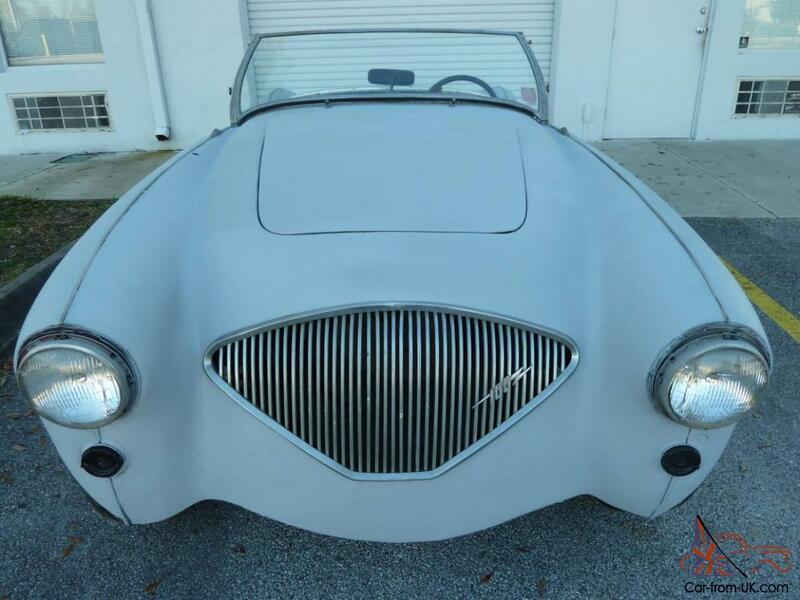 Up for sale is legendary 1954 Austin Healey 100-4 that has the V8 engine conversion started years ago. 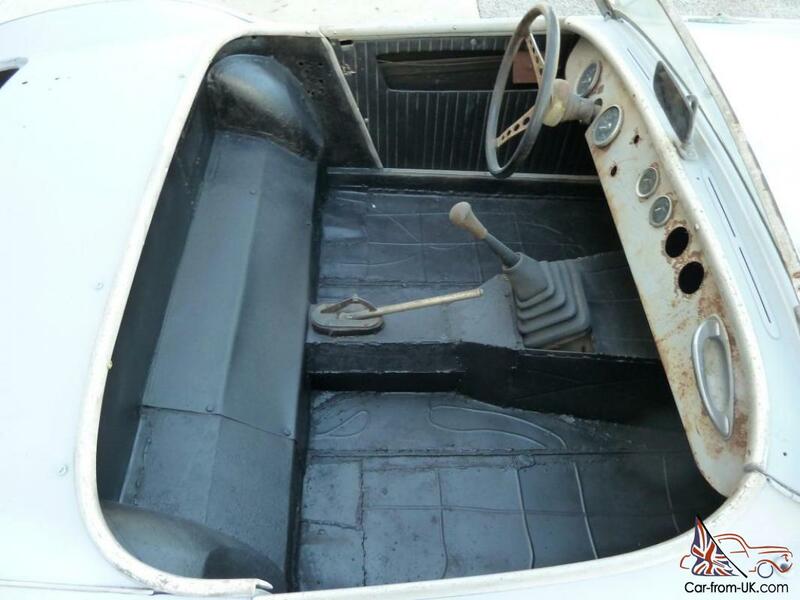 This car has been stored and off the road since 1972. Title is clean and it is ready to be transferred anywhere in the world!! 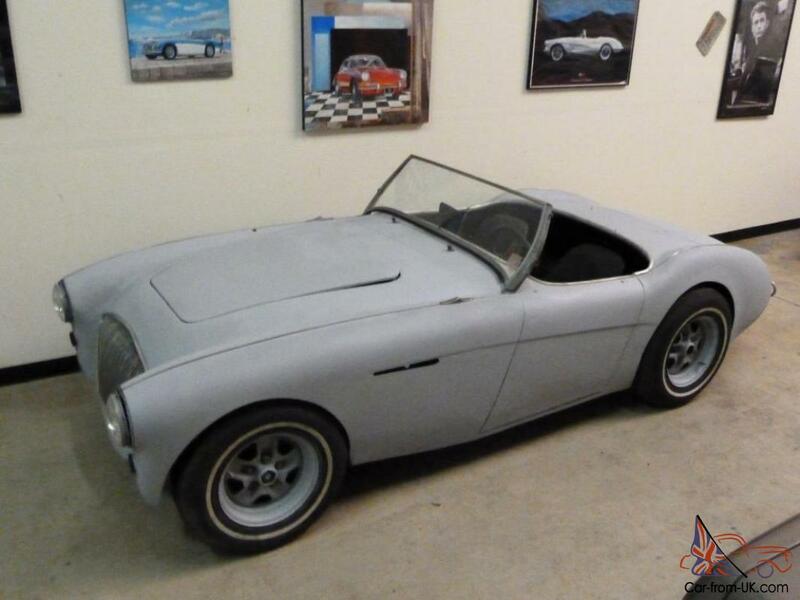 My Father purchased this Healey with intentions of finishing it up. and putting it back on the road. 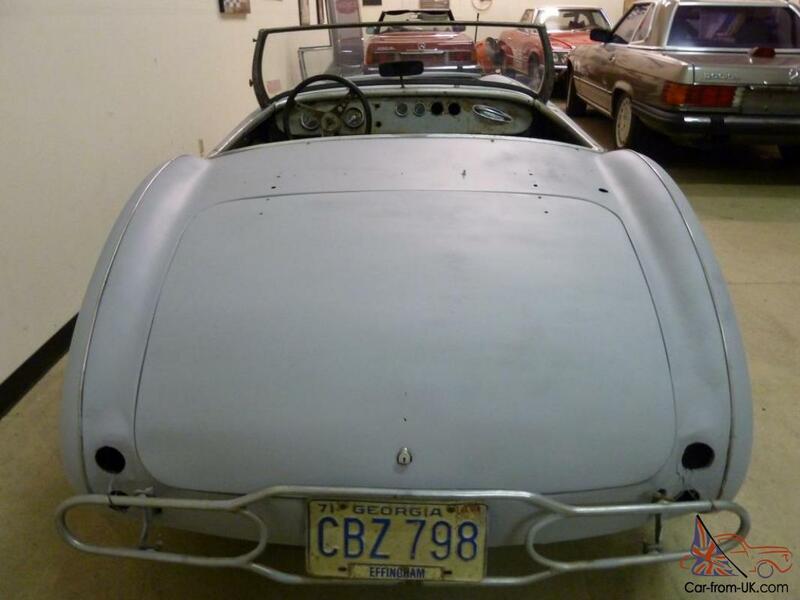 but as he has couple of big projects going on at the moment (1959 Porsche 356. and 1956 Mercedes 190SL) this baby has to go! V8 Engine conversion started years ago. and some modifications were done to the vehicle. Front end looks like the Mustang 2 independent suspension. with rack and pinion steering. There is no engine. but aftermarket transmission and rear end are included and in the car. 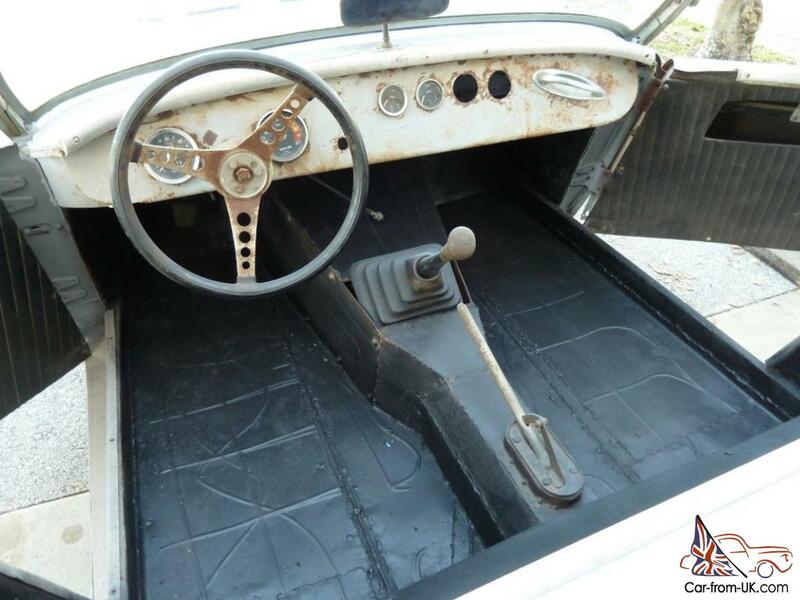 It also comes with its Original Coventry radiator. original seats. soft top frame. grill and door panels. 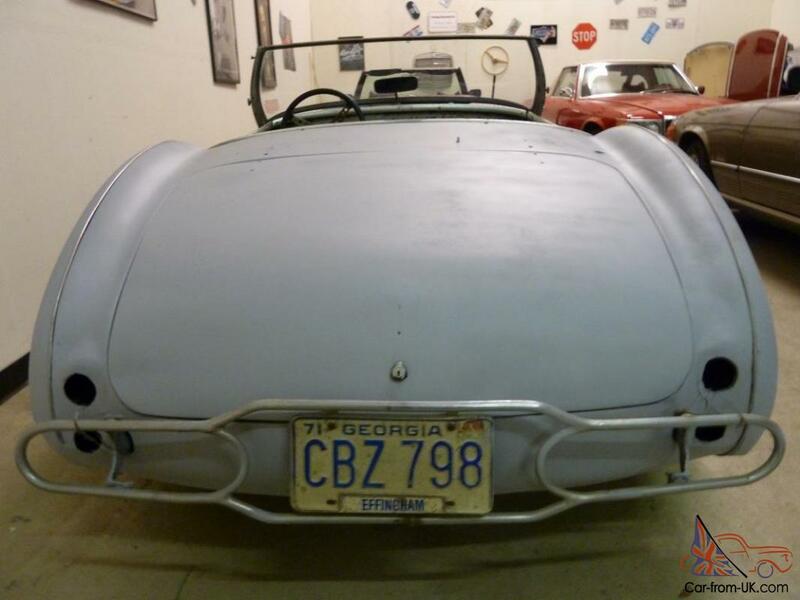 Front and rear bumpers are included as well. 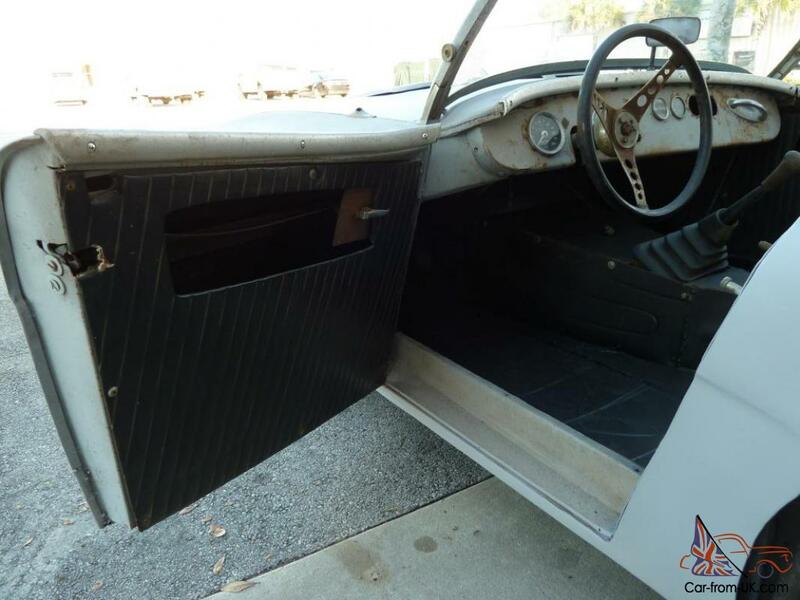 Original color combination appears to be Red over black leather interior. 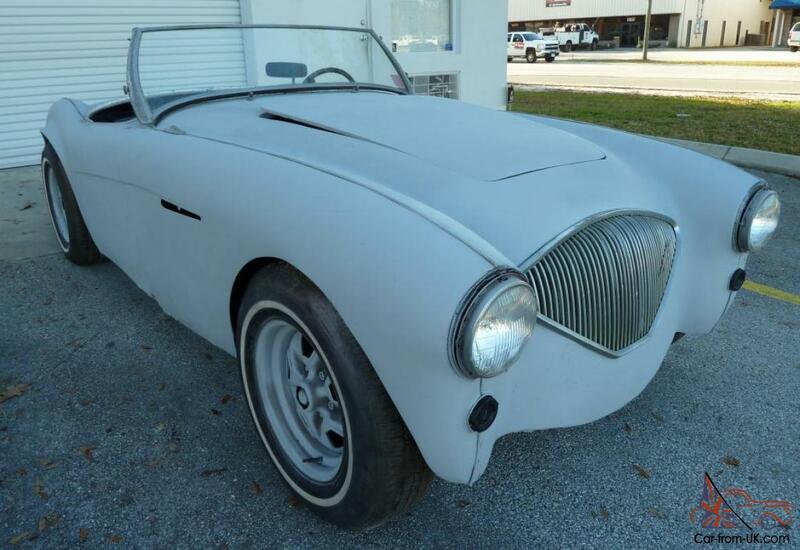 This Healey is a VERY SOLID car (please see pictures) with exception of some rust on the passenger side bottom of the door. 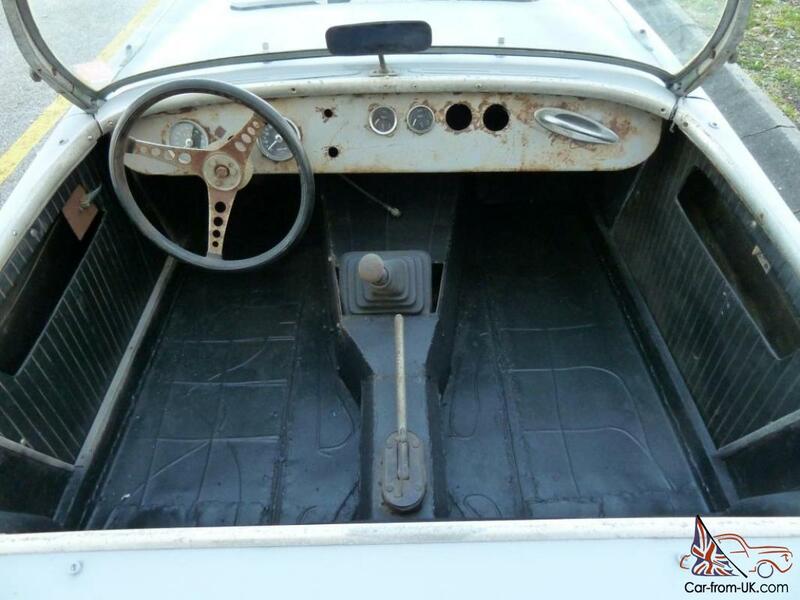 Rest of the car appears very solid and rust free!! Frame. floors. outriggers. they all look nice and solid. 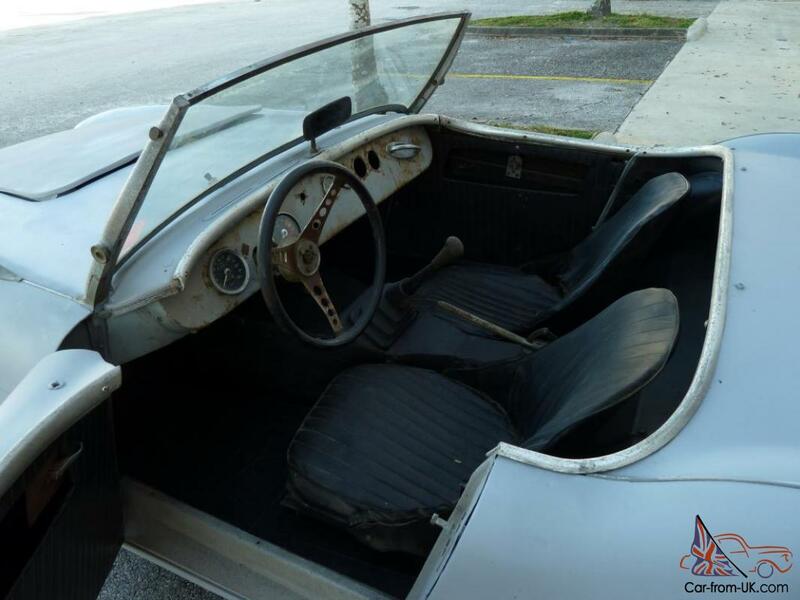 Austin Healey&apos;s became one of the most popular exports to America as they suited the American market with both speed and glamour included. 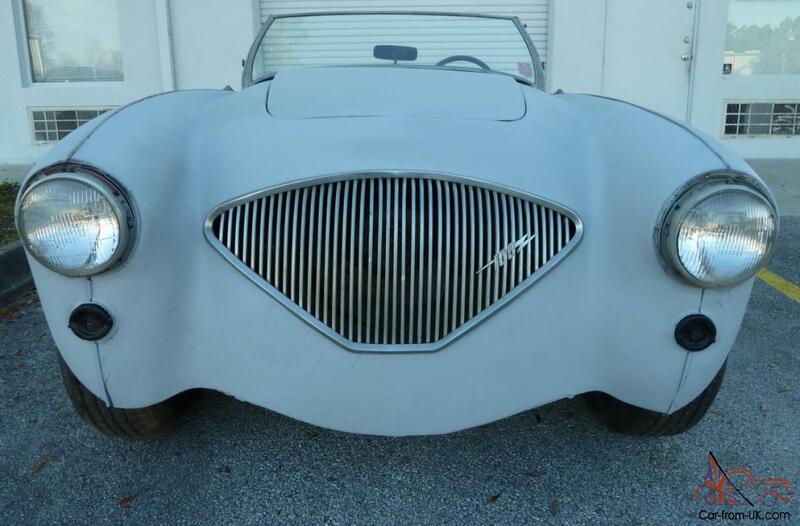 Today “Big Healey” has become the collectors and restorers favorite. and perfect examples are at premium prices. costing upward of $60. 00. Now imagine this: A gleaming paint job with brightly polished chrome. the smell of a new leather interior. 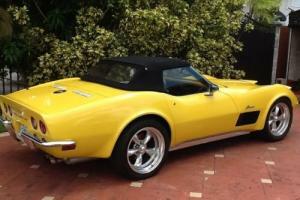 and the unmistakable deep burbling sound of an American Muscle V8 engine!!!!! 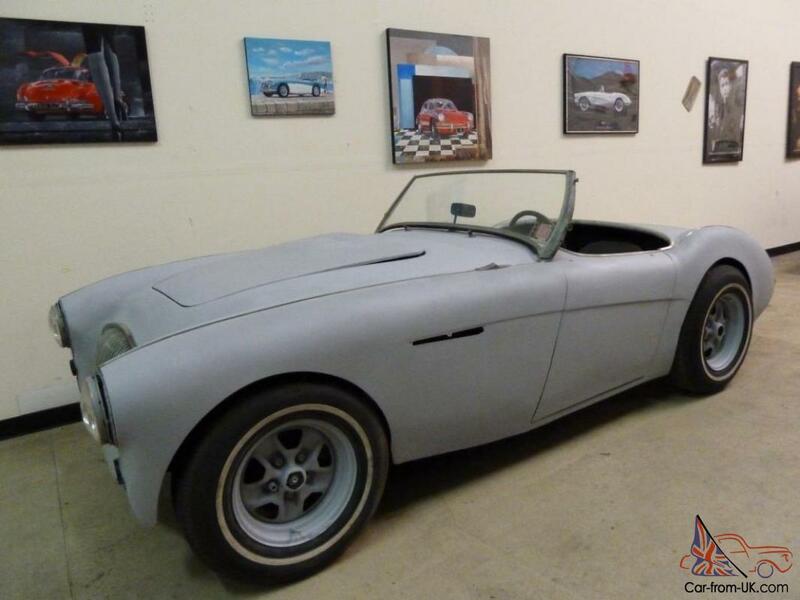 A wonderful combination of a classic British roadster with a strong American Muscle. robust mechanicals. and great handling and performance! It has a beautiful. yet simple and distinctive design that causes heads to turn from every direction without fail. and very strong support from suppliers. clubs. and fellow enthusiasts. 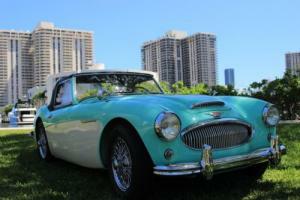 All the things that make up a fantastic classic car! 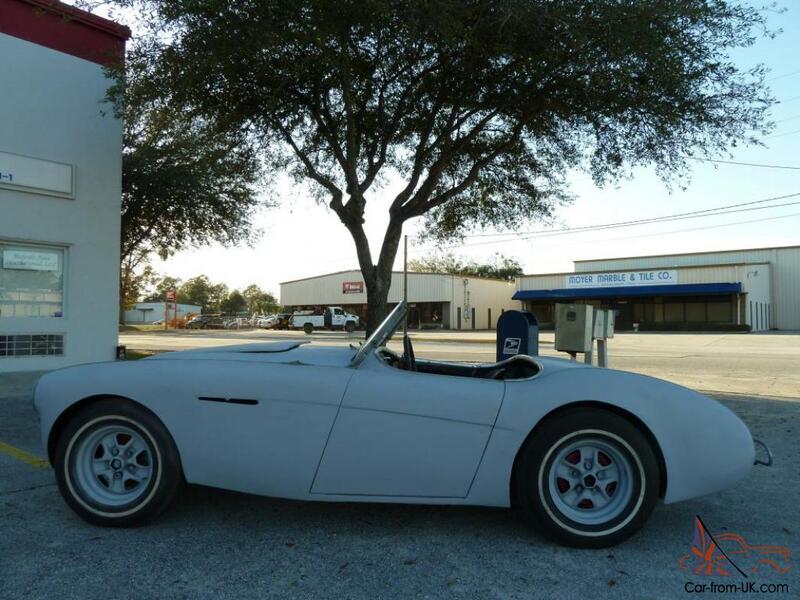 Be the envy of your neighborhood or your local car club with this beautiful British Roadster! 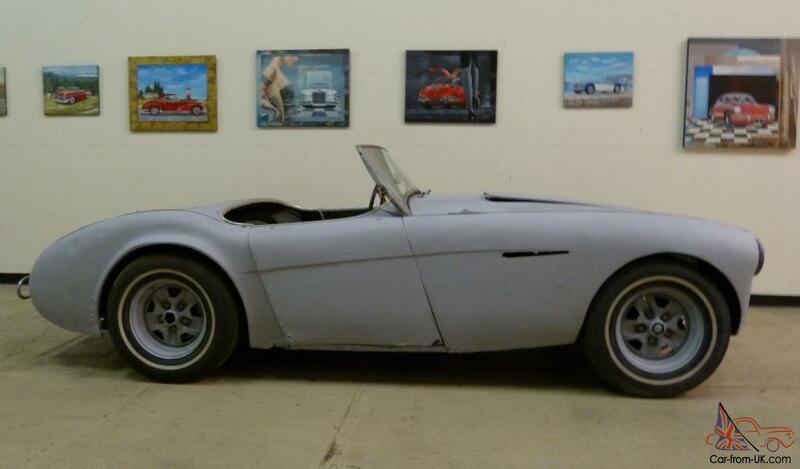 This beautiful antique Austin Healey will only continue to appreciate in its value. and with time. these cars are only getting harder and harder to come by. 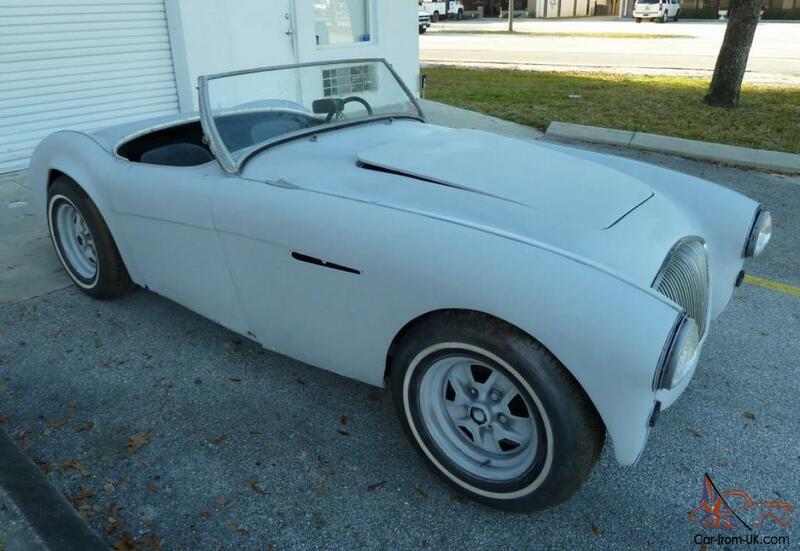 These British Roadsters fully restored will easily go $65. 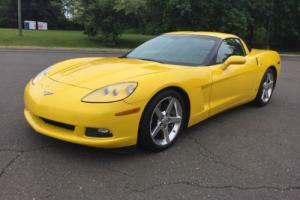 00 + and this car is great investment. which will only continue to appreciate in its value. definitively better than any stock at this time!!!!! 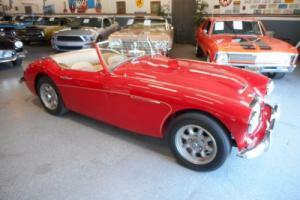 You don&apos;t have to settle for a V8 Healey Replica when can you own a REAL Austin Healey for a fraction of the price! Buyers are more than welcome to inspect vehicle in person (I DO encourage personal inspection) and before auction ends. No inspections will be allowed after end of the auction! No exception!! 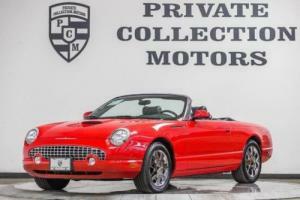 Please Do all of your homework and due diligence in regard of this car before auction ends!!!! 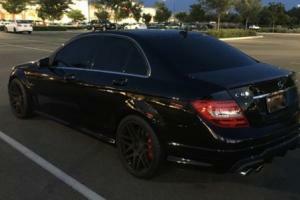 Please do not assume anything and do ask any questions you might have in regard of this car. as well as ask for any additional photos that would be of special interest for you and that I might have missed. so we avoid case of "buyer&apos;s remorse" afterwards. Also. 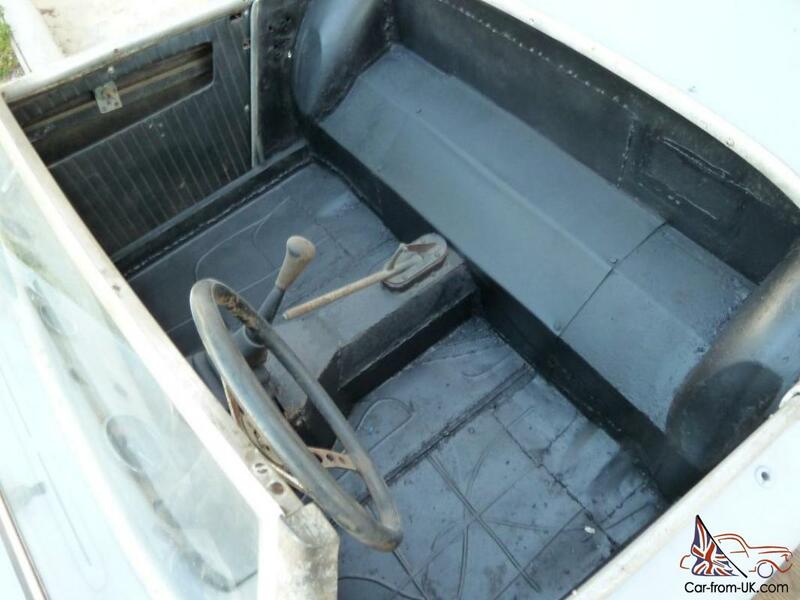 please remember that this is used and not fully restored antique vehicle that is over 59 years old. 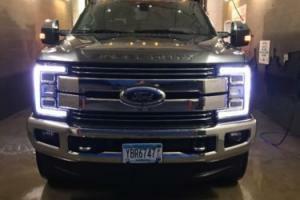 so expect to see some wear and tear that is normal for the vehicle of that age. 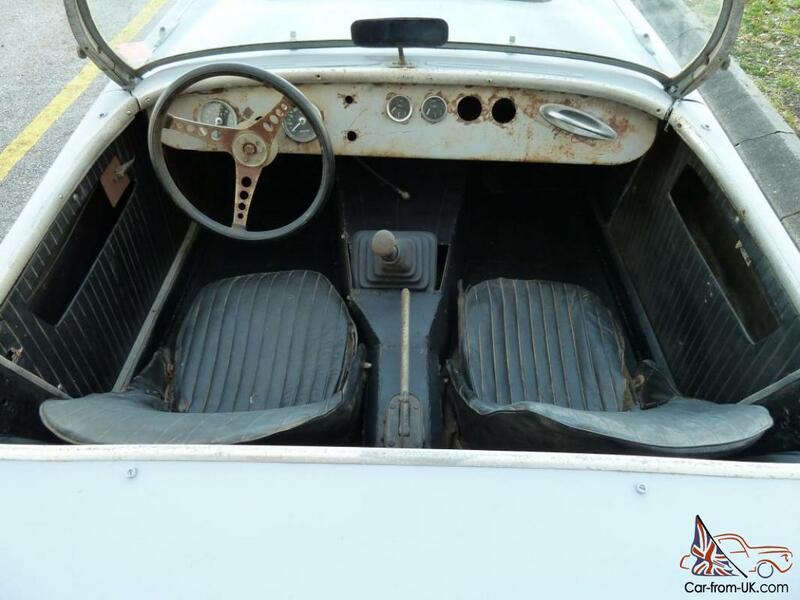 Buyer must realize that this is vintage vehicle and by their very nature will need Tender Loving Care and maintenance appropriate to such a vehicle. This is not a new car and should not be treated as such. This vehicle is sold AS-IS. where is. and without any warranty expressed. written. or implied. The seller shall not be responsible for the correct description. authenticity. genuineness. or defects herein. and makes no warranty in connection therewith. No allowance or set aside will be made on account of any incorrectness. imperfection. defect or damage. Any descriptions or representations are for identification purposes only and are not to be construed as a warranty of any type. ANY and ALL representations made in the description above are made to the best of the Seller‘s knowledge. however. 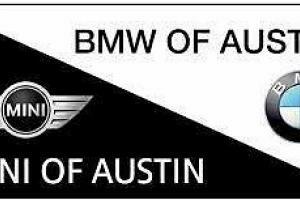 due to divergent notions of condition and quality. you are encouraged to rely on your own physical inspection of the vehicle and not the description above. Furthermore. 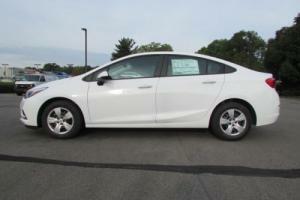 due to the likelihood for latent and patent defects within and/or on a pre-owned vehicle. 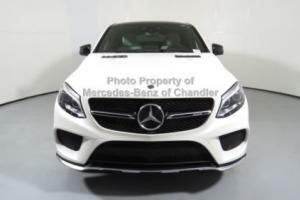 the Seller cannot guarantee that all issues are disclosed in the description above. It is the responsibility of the buyer to have thoroughly inspected the vehicle. asked any and as much questions they might have about the vehicle. and to have satisfied himself or herself as to the condition and value of the vehicle and to bid based upon that judgment solely. Therefore. any claims or disputes as a result of or relate to failure to disclose or misrepresentation are hereby waived by you. 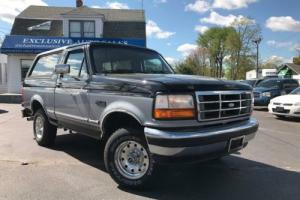 The seller shall and will make every reasonable effort to disclose any known defects associated with this vehicle at the buyer's request prior to the close of sale and end of the auction. 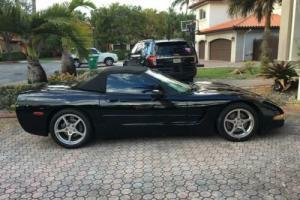 Seller assumes no responsibility for any repairs regardless of any oral or written statements about the vehicle. $500 Non-Refundable Deposit via PayPal is due within 24 hours after the end of the auction. and winning bidder MUST contact me within this period to arrange payment and shipping details. The balance (cash in person. money order. bank check or wire transfer) is due within 3 days after the end of the auction!! All financial transactions must be completed before vehicle delivery. and please have all of your finances ready to meet the terms of sale! If you need any special arrangements in regard of the payment. please let me know in a timely manner. and BEFORE auction ends. 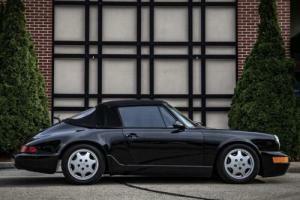 so you can get my approval to bid on the car. and we can work something out. otherwise If terms of sale are not met (deposit within 24 hours. and full payment within 3 days). nbsp;that bidder will be reported to E-bay. and second chance offer will be sent to the next highest bidder!! 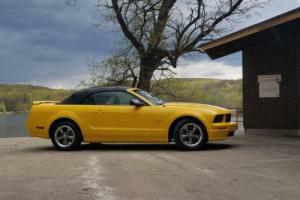 I reserve the right to cancel the auction early and/or at any time due to the car being listed and advertised locally. By bidding on this auction. clicking “buy it now” option. or by placing your offer. you agree that you have read. understand. accept and will be bound. without modification. by all the terms. conditions and notices contained herein. Shipping cost is the responsibility of the winning bidder! Please contact me for a shipping quote. or if you will need help with shipping arrangements and I will be glad to help out as much as I can. 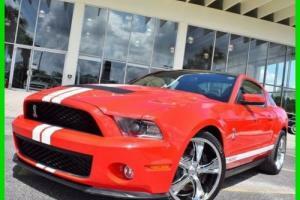 Feel Free to call me at 904-728-9688 for any questions you might have in regard of this car. or to make me an offer!!! !